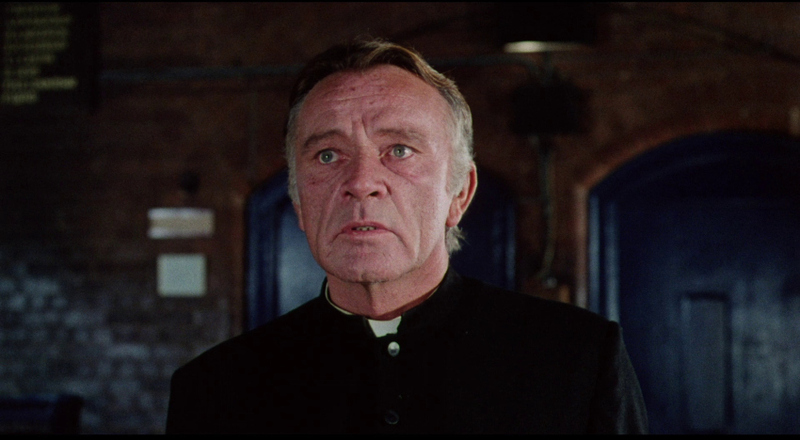 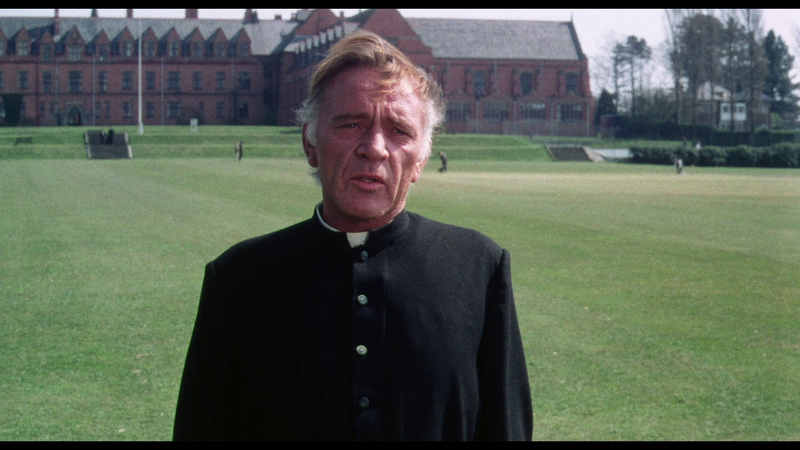 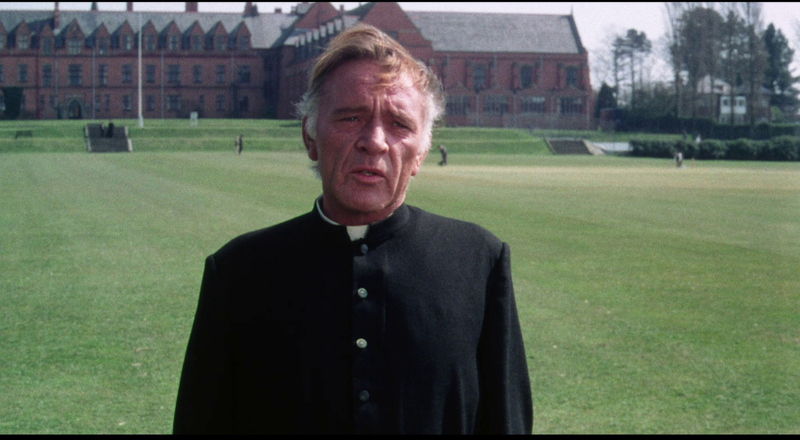 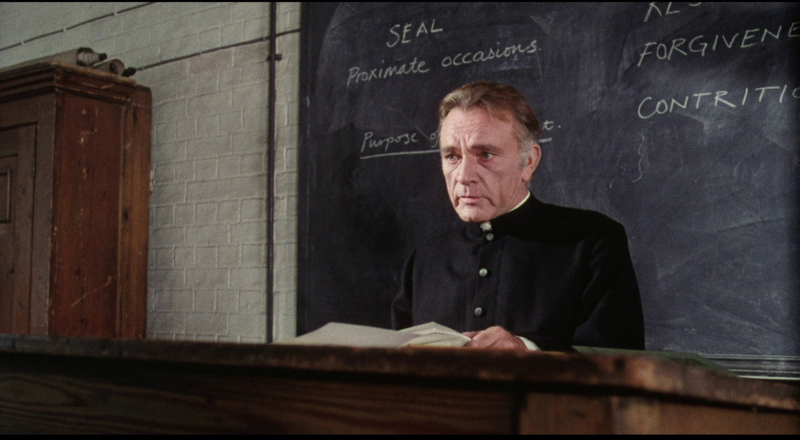 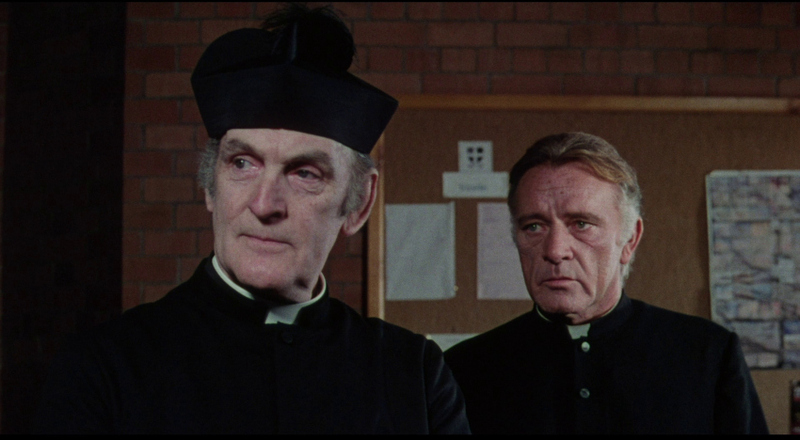 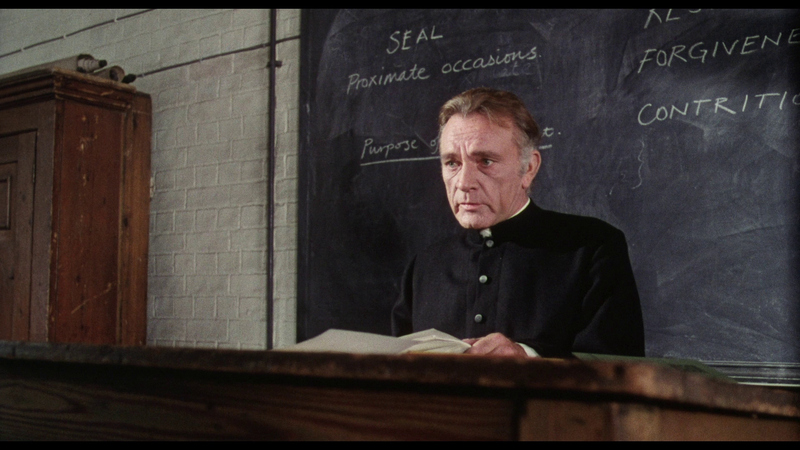 At a Catholic boys' school, domineering disciplinarian Father Goddard (Richard Burton, The Medusa Touch, The Spy Who Came In from the Cold) rules over his pupils with an iron hand. 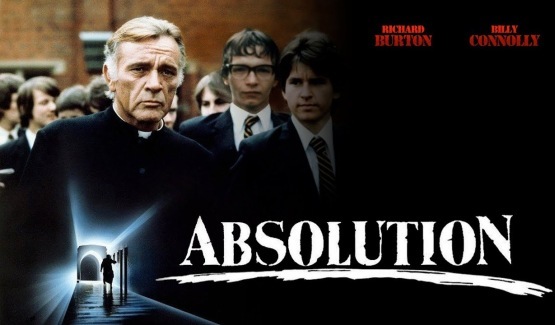 When one of his teenage charges confesses to murder, the dogmatic but deeply repressed Goddard finds his faith challenged and his life spiralling dangerously out of control. 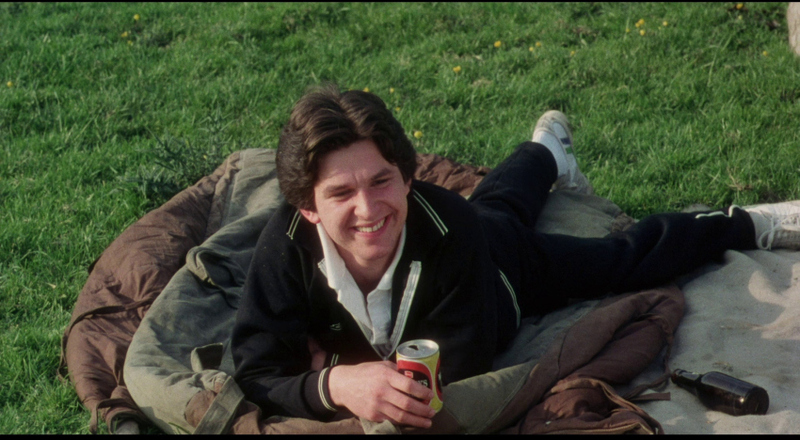 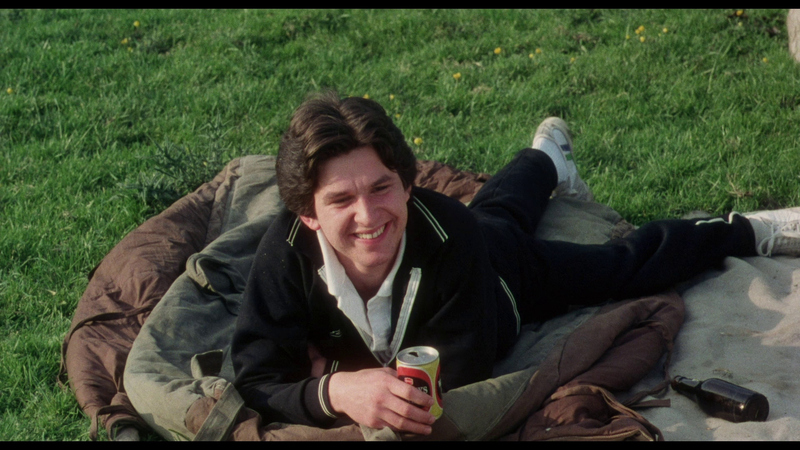 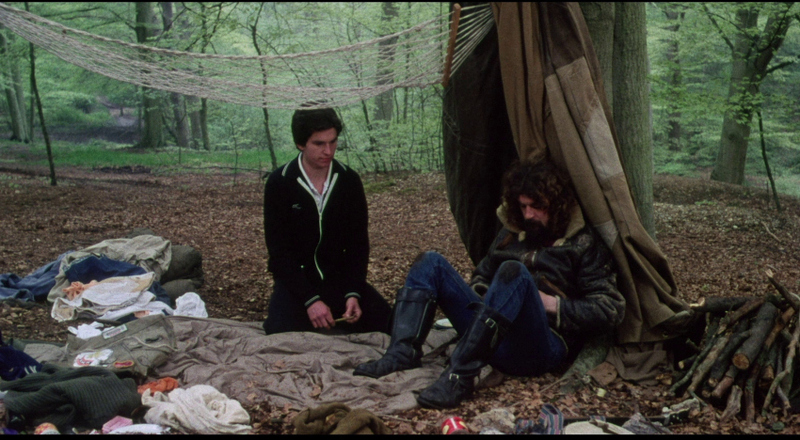 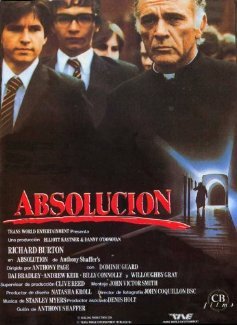 Also starring Billy Connolly (in his first feature-film role), Dominic Guard (The Go-Between, The Picnic at Hanging Rock), Kes star Dai Bradley, and the inimitable Brian Glover (Kes, Jabberwocky), and written by the great Anthony Shaffer (The Wicker Man, Sleuth), Absolution is one of British cinema’s most underrated chillers, not least for a towering central performance by Burton. 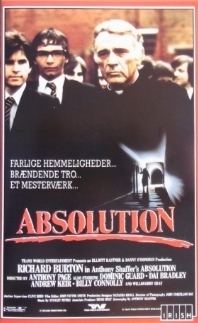 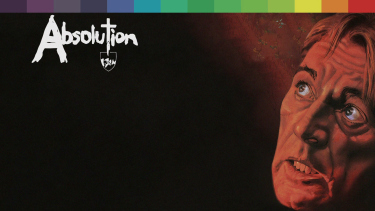 ADDITION: (September 2018) Indicator - Region FREE - Blu-ray: This is the UK premiere of "Absolution" on Blu-ray. 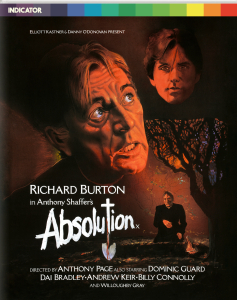 This Region-Free disc houses the film on a dual-layered Blu-ray with a maxed-out bitrate. 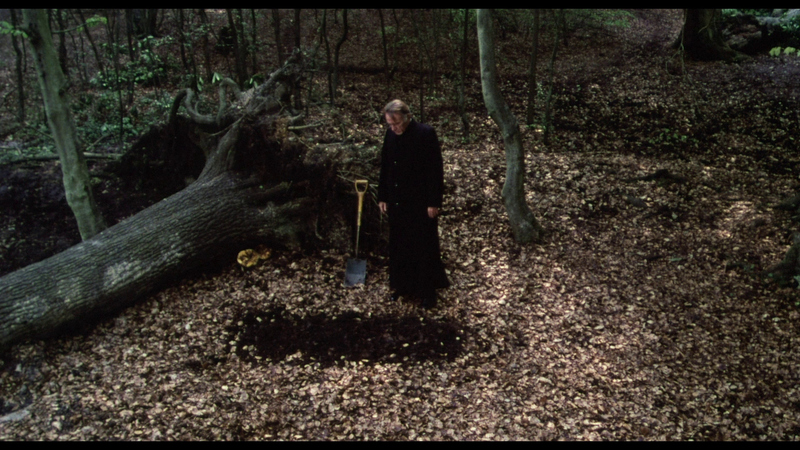 The image is impressive, with a good level of detail in most scenes. 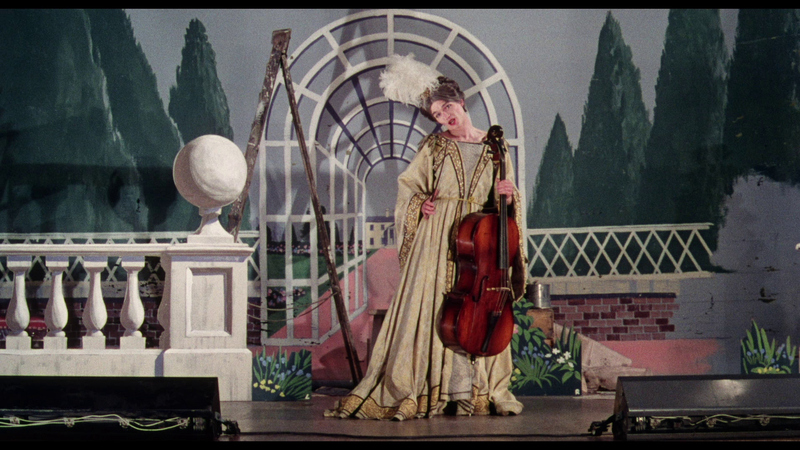 Colors seem to be correct, with skin tones looking warm. 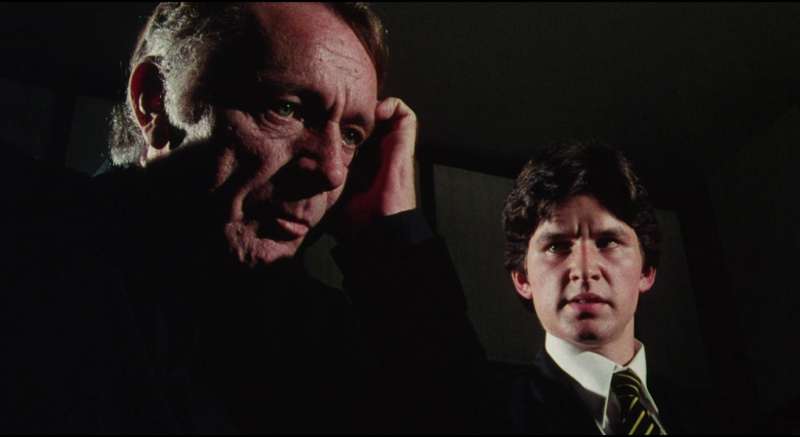 There is a nice wide gamut of contrast here, with darker scenes having various tones of black and not losing much detail. 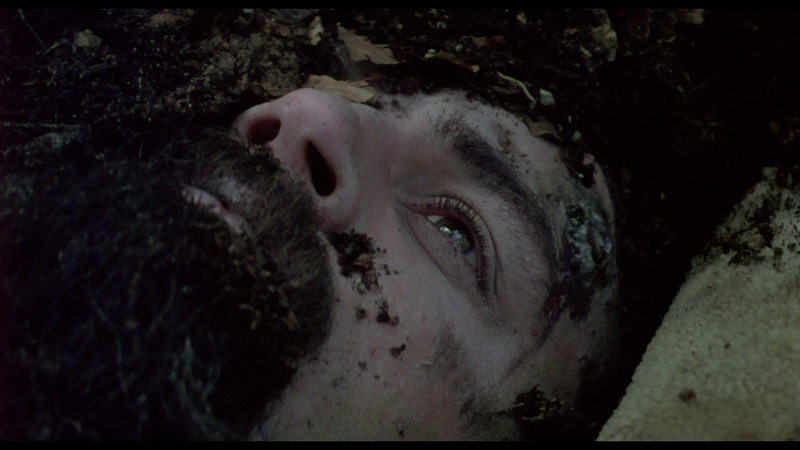 There is a fair amount of grain, and hardly any scratches on this print. 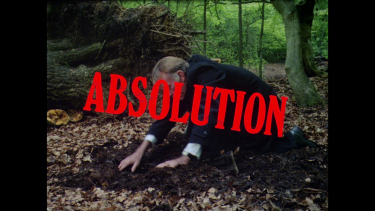 Another great transfer by Indicator. 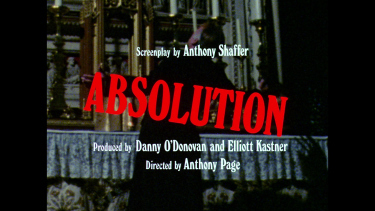 Absolution is presented in the original mono. 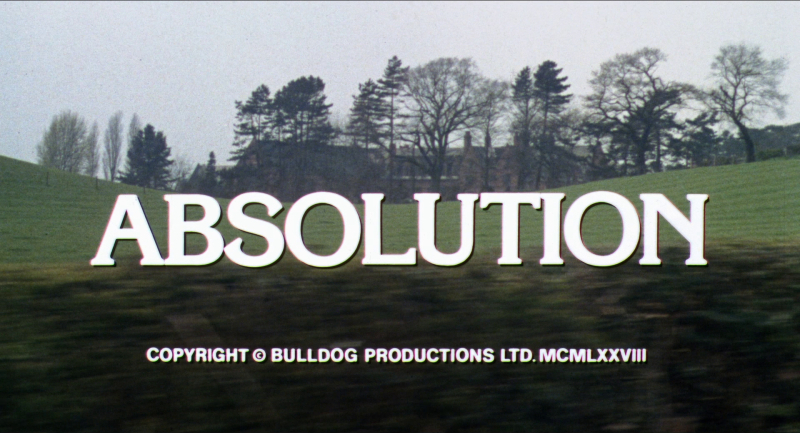 This is a 24-bit 1.0 DTS-HD track. 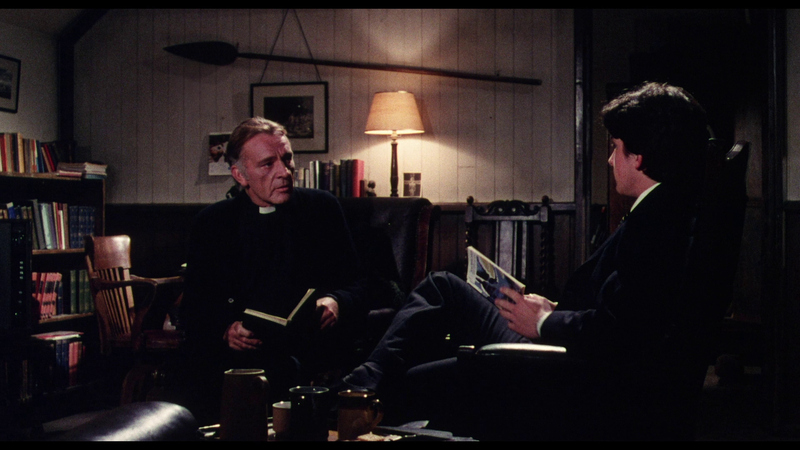 The dialogue comes through clear as day, with hardly any hisses and pops. 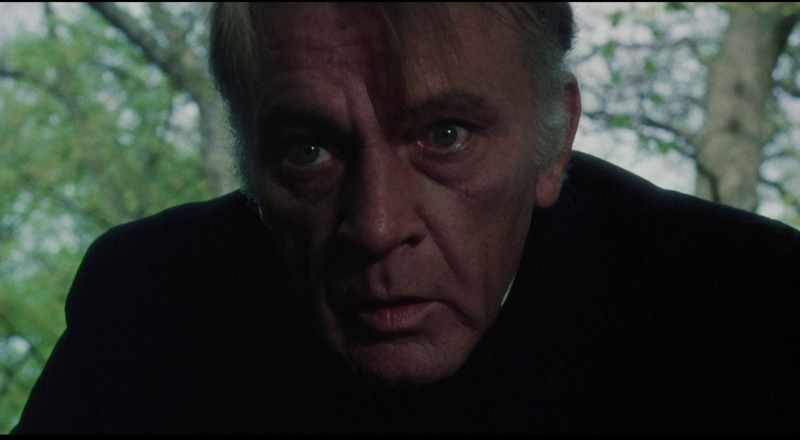 The wonderfully creepy score sounds great here, even in mono. This score is thanks to the prolific Stanley Myers (Take a Girl Like You, The Wilby Conspiracy, Eureka, Cimino's The Deer Hunter, Roeg's Insignificance, Harold Becker's The Boost, Pete Walker House of Mortal Sin and Frightmare, etc.). 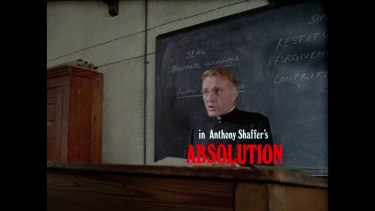 There are optional English (SDH) subtitles on this Region-Free Blu-ray. 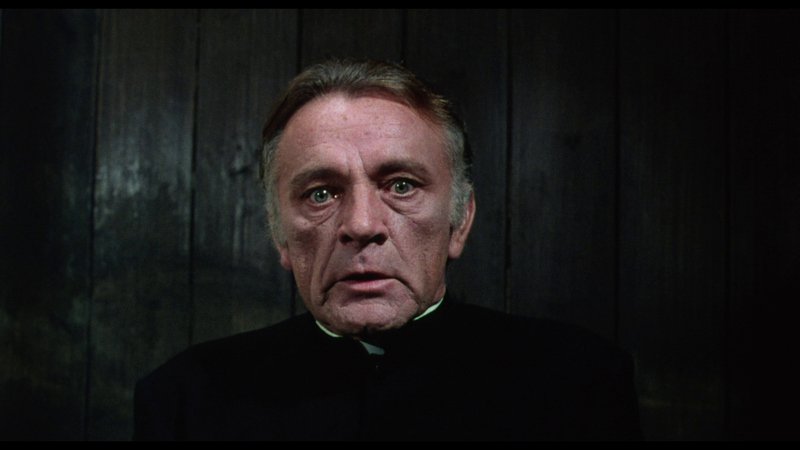 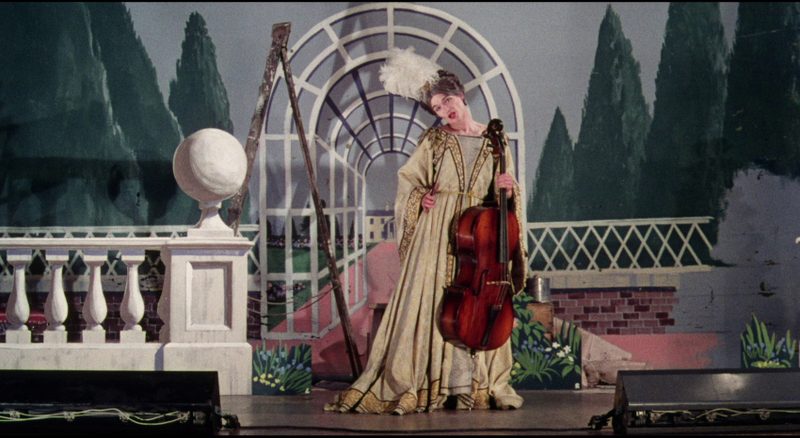 Indicator have added a few interesting extras to this Blu-ray. First off is a wonderful audio commentary with Kevin Lyons, editor of The Encyclopedia of Fantastic Film and Television, on the original theatrical version (There is no commentary for the shorter, 2018 "Director's Cut"). 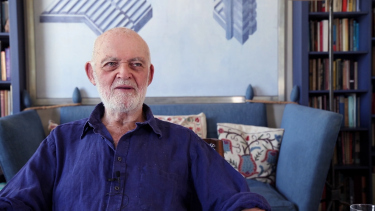 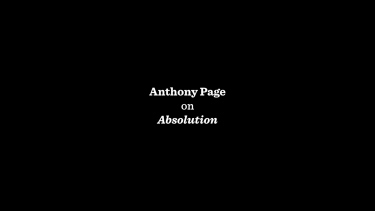 "The Devil to Pay" is a new 12-minute interview with director Anthony Page in which he reflects on the production of Absolution. 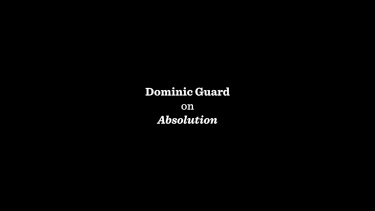 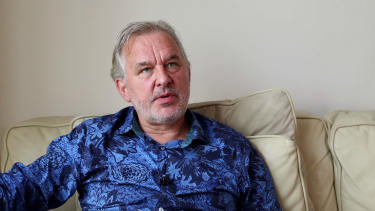 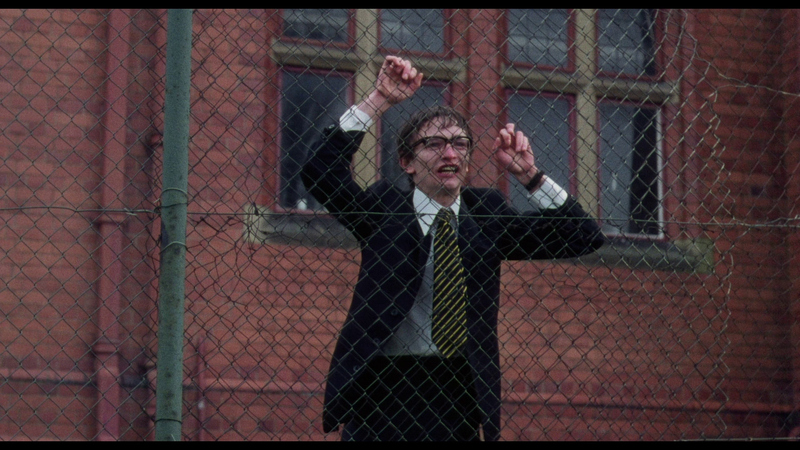 "Them and Us" is a 13-minute interview with actor Dominic Guard. 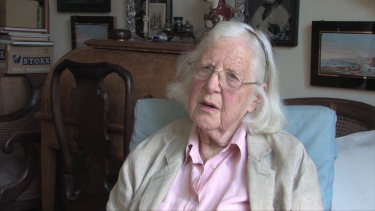 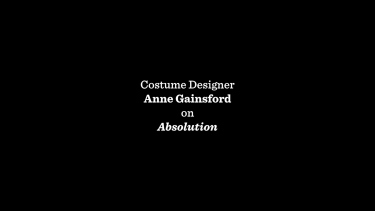 "Cutting the Cloth" is another new interview, this time a 9-minute piece with costume designer Anne Gainsford. Also included is the 3-minute original theatrical trailer, which is pretty wild. 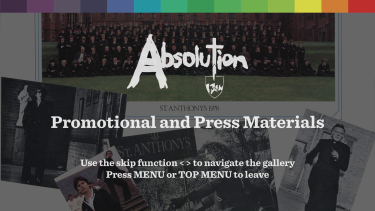 There is a stills and poster gallery, and a press materials gallery. 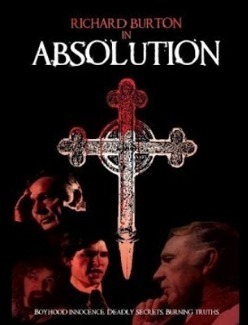 This limited edition (3000 copies) also includes an exclusive 40-page booklet with a new essay by Neil Sinyard, location report with Anthony Page, Anthony Shaffer on Absolution, cast and crew profiles, an overview of contemporary critical responses, and film credits. 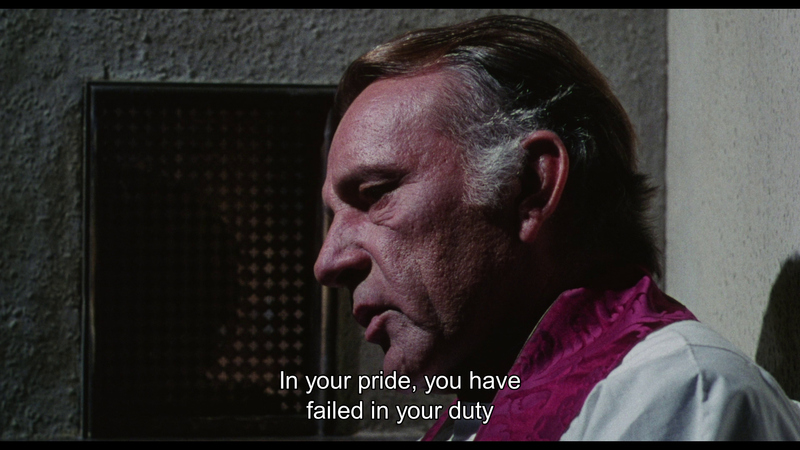 Indicator have once again uncovered an often over-looked gem of a film here. 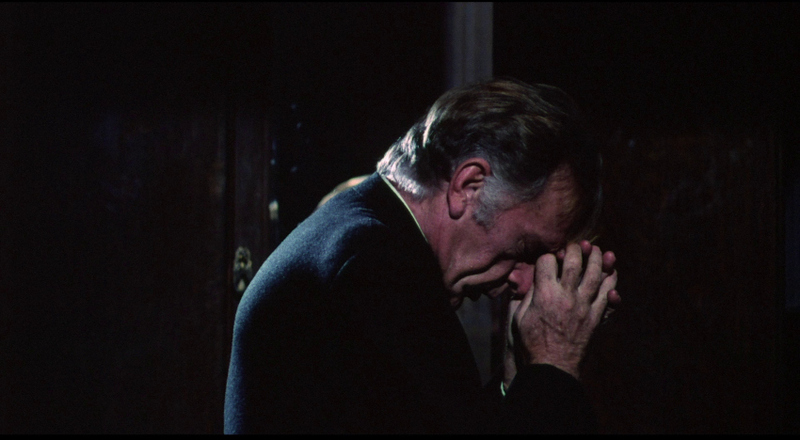 Richard Burton is as strong as ever here, and the film benefits from the inclusion of a great commentary with Kevin Lyons. 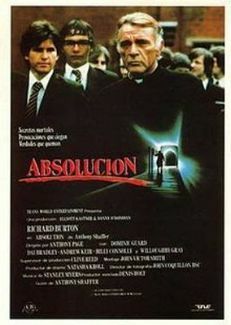 This is a wild and creepy film, Highly recommended!